Nestled right within the Santa Monica mountains, there is a hidden gem of a city. Agoura Hills is a beautiful drive from Los Angeles, taking you through the mountains on an unforgettable journey. In this incredible village you can see some of the top performers in the country play at The Canyon Club, one of the most famous music venues in the region. Agoura Hills is a town like no other, we can’t wait to show you. 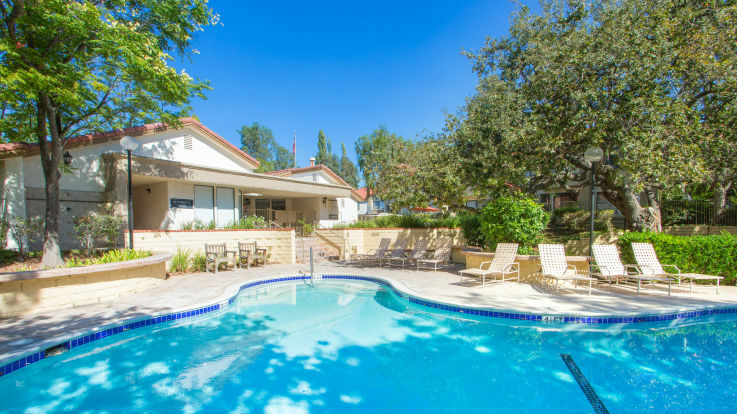 We’re pleased to offer some incredible Townhomes in our Agoura Hills, CA locations. These townhomes come fully equipped with multiple beds and baths, wood burning fireplaces, and even an attached garage. We’re sure that our Townhomes for rent in Agoura Hills, CA will be the perfect place for you in our incredible little town.